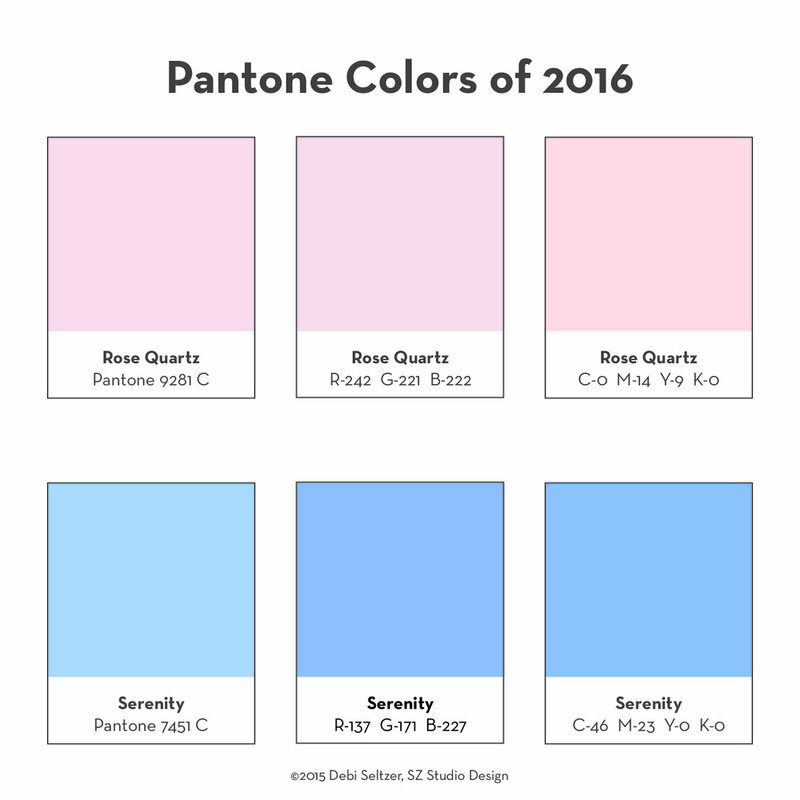 Pantone has chosen these 2 pastel colors for the 2016 colors of the year. Here's the breakdown of the PMS color to RGB and CMYK formats. To download the Adobe Creative Suite ASE file visit SZ Studio Design Free Tools.